I need more of a review every turn than Jon has patience for. We played one game early on, Aaron finished it later with Jon watching him, then we played another game, Jon took over when David left. In our early game, Jon called Tichu while looking at his 8 cards, David clarified by saying Grand Tichu, while looking at his whole hand, because Jon saying Tichu on 8 cards means GT. It was clear to them, and me, that Jon was calling GT. After the game, David told Haim that he should have kept his Phoenix because he also had an ace, instead of passing it to David. Haim said he passed it because David called GT, which is when we discovered that Haim, and Aaron who was watching the game, thought David had called GT and Jon had called Tichu. Aaron said people do sometimes call Tichu before passing, though it’s rare, but he said it would at least be after everyone looks at their whole hand. I complained too much because of the game’s constraints and lack of control. Yael didn’t like them either even though her camel card was great, and let her go anywhere to use the resource chips she had. I guess you feel like you’re not doing enough, but no one else is either. Jon didn’t get to buy a tile at the end, I also didn’t get to do what I wanted due to wrong resource chips, but I did get the red 3. Jon said it was the first time he didn’t get the bonus for 5 tiles. We used his house rule where you can pay 3 for any card action, independent of cards. It is a good game, but it does also feel like work to some extent. I guess it’s pretty well balanced, though I don’t think I won because I was playing better. I had the 2 points per round card, and was as far as anyone with red cards, I never got a purple wild resource. I went first, and got to place the cubes twice, which may have helped. Yael got a lot of points for her many irrigation cubes, I got one point the whole game from one or two of them. Aaron hasn’t played much, and it was a while ago so David reviewed all the rules; Haim’s second game. So David had way more experience than they did. But he stored up on fuel on what he thought was the second to last turn, whereas if he had kept the money, he could have build to 17 that turn and won by even more. They played with our house rule of exposing the next 4 cards in the draw pile. Welcome Haim S, First time attendee. Haim used to play war games back in the day, so he’s not exactly a new gamer. First play for all but me and Gili. Aaron and Nadine came in during the game and kibitzed. It’s not quite as much of a game as Parade or R-Eco, but it’s also quicker and lighter. I like it. First play for Aaron and Haim, I had just received the game in the morning’s post. I scared everyone else away by saying the game was mechanical. Aaron and Haim both liked it a lot. The mechanics work well. We played on the 2-3 player board, of course. Even with only one path to the “extra action” city, we didn’t find it too much of a crunch to get the actions. I got mine first, but I stayed at three actions until about halfway through the game. Aaron got his fourth action sooner than me, and also got to five. Both of them also developed more tracks than I did. Instead, I took the first two spots in the points city while Aaron was taking his extra actions and other tracks. Then while he went for the better points in the point city (he got both of the other two spots), I spent my time building offices. He locked me out of making the route between the two edges, but I still built more than enough on the board to make up for my lost points from the tracks and his slightly better “point city” points. It still bothers me that you HAVE to get to three actions, at least, and it’s something of an advantage to be the first to do so. Haim stayed at two actions for most of the game and didn’t do so well. It’s not so simple to start everyone off at three actions, but maybe add another route to the action city, or make it (like Antike) easier for all players after the first to get that first action track marker removed (2 instead of 3 disks). 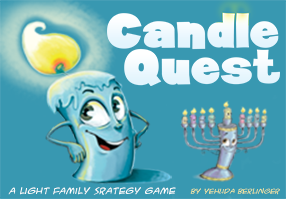 First play for Elad and Noa. Elad did well, as you can see, ending the game with 12 guns. Nadine writes: We left the “gun space” circle at 3 guns [Ed: we often play it as 2 guns] and we used the gun character. Noa and Elad really liked the game. Gili lost a few duels by 1 gun. First plays for both of them (Aaron may have played it once).